Many people come here seeking online stories. There are three pages (at the top of the page, to your right) with all the online stories now available. These pages are updated whenever new stories appear. Hatchling. A girl brought up alone by her mother in secret. What could go wrong? The Dark Side. A man obsessed with death. Funny story. Her Destiny. So you’ve met the perfect woman. It’s destiny, right? Eternity Wasted. A man with a big ego faced with eternal life. What could go wrong, right? Living in the Present. Trying to solve the time paradox. What could go wrong? No Chance. Debate the nature of the universe over a game of poker. The Case of the Immoral Monster. Can immoral TV programming make us immoral? The Levantine Experiments. Freedom is a state of mind. All-of-Me(TM): Winner of the Israeli Geffen Award for Best Short Story 2003. Does your brain contain everything you would have been? God’s Shadow: Serialized novel. What if past lives really existed? How far back could you explore the past? Women. Something is seriously wrong with women. There must be some explanation. CSI: Jehovah. God is dead. Who did it? I was a guest of the 2007 SF convention in Spain, Hispacon. 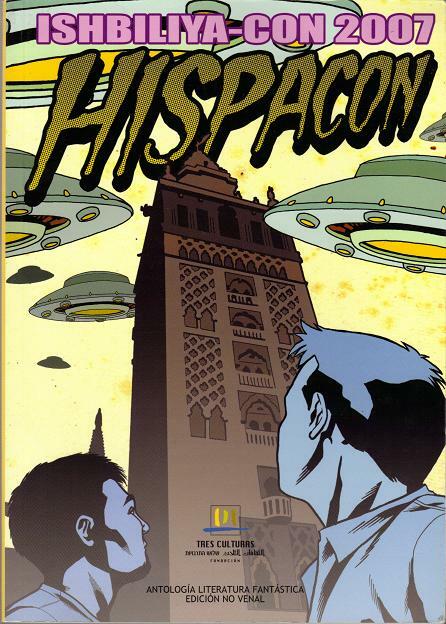 ‘The Folly of Freedom’ was published in 2007’s Hispacon book, translated into Spanish. Later on, when Lavie Tidhar chose the story for the Apex Book of World SF, he changed its name to ‘The Levantine Experiments’. The story is available in English online here. Thirteen-year-old Glynis Hatch never knew her father. But she knew there was something there, something bad. Our hero decides to explore scientifically what happens after we die… by taking people with him.